French Fort Vineyards is located on Paquin Farms, a 175 acre property located near Mammoth Cave National Park that is engaged in various business and agricultural activities, including events and tourism, growing crops, timber development, parcel development and sales, and other activities. French Fort Vineyards has several vineyards in various stages of development, currently comprised of Chambourcin and Muskat. The vineyards serve as a focal point for the Paquin Farms Events Center, which provides venues for business and non-business group events, meetings, facilitative programs, education and training programs, mediations, group camping, team building, social events, outdoor activities, concerts, and other similar gatherings and activities. French Fort Vineyards is just minutes from Mammoth Cave National Park, Nolin Lake, and other area attractions, and is less than 30 minutes from Bowling Green, 90 minutes from Louisville, and 100 minutes from Nashville. Please contact Jeff Paquin at 404.307.8223 or jeff.paquin@paquinllc.com if you are interested in learning more about French Fort Vineyards. 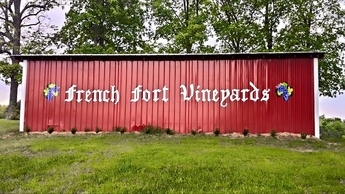 Also, please check the French Fort Vineyards website, www.frenchfortvineyards.com, for additional information.